As your REALTOR® and trusted Real Estate Advisor, I believe my duties involve more than just representing your best interest in a real estate transaction. Your home is typically your largest investment, therefore, it's important to know how that investment is preforming in the real estate market year after year. I invite you to contact me directly and experience the difference my commitment to you will make in your transaction today and years to come. 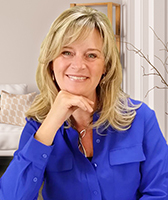 I understand that buying and selling your home is emotional as well as financial: You can take comfort in knowing I'll provide you with the detailed information but more importantly, I never lose sight that this is about you and your family. It all starts with an in depth understating of the current real estate market conditions. Recieve an in depth CMA Report custom taylored to your properties unique attributes and features by contacting me directly. Sign up to receive automatic updates about new listings, price changes, market conditions and open houses that fit your criteria. Real Estate can be complicated and just knowing where to start can be difficult. I'm here to walk alongside you through this process. I look forward to hearing from you!